The Annapolis Symphony Orchestra (ASO) is pleased to announce its 2013-2014 concert season. Under the continued artistic leadership of Music Director José-Luis Novo, the season will feature the Lexus Classic Series, a combination of five classical concerts, as well as a Holiday Pops concert sponsored by PNC Wealth Management, a Family concert and a free summer Pops in the Park concert presented by Lexus. All concerts are performed at Maryland Hall for the Creative Arts in Annapolis, MD with the exception of the Pops in the Park concert which is held at Quiet Waters Park amphitheater, also in Annapolis. ASO concertgoers can purchase a variety of ticket packages from a full Lexus Classic Series (five classic concerts) or flex passes of three or four-concert packages. Special student rates are also available, and first-time subscribers enjoy a 50% discount on Lexus Classic Series subscriptions in sections B and C.
As the premiere performing arts organization in Anne Arundel County, the ASO’s orchestra members include some of the finest musicians throughout Maryland and the mid-Atlantic, and regularly features internationally acclaimed guest artists. One of the most popular concerts offered each year by the ASO, the Lexus Pops in the Park concert, will return on Labor Day Weekend. The concert will be presented free of charge on Sunday, September 1, 2013 at 5:30 pm at the Quiet Waters Park amphitheater. A rain date is scheduled for September 2, 2013 at 5:30 pm. This family-friendly concert is perfect for all ages and features pops favorites and light classics performed by the entire orchestra. Food concessions will be available at the park. Concertgoers are welcome to bring blankets, lawn chairs, and a picnic meal or snacks. The season opens at Maryland Hall for the Creative Arts with cellist, Mark Kosower, performing with the ASO. An eloquent orchestral soloist, Mark Kosower has appeared with the symphony orchestras of Detroit, Florida, Grand Rapids, Houston, Indianapolis, Milwaukee, Minnesota, North Carolina, Oregon, Phoenix, Santa Barbara, Seattle, Syracuse, and Toledo; the Buffalo Philharmonic, the Ravinia Festival Orchestra, and the St. Paul Chamber Orchestra, among others. Mark Kosower has received an Avery Fisher Career Grant, a SONY Grant, and has been a top prize winner in both the Rostropovich and Pablo Casals International Cello competitions. He began his cello studies with his father at the age of 1 ½, and later studied with Janos Starker at Indiana University and Joel Krosnick at the Juilliard School. The concerts will feature Samuel Barber’s Essay No. 2, Edouard Lalo’s Cello Concerto, and Jean Sibelius’ Symphony No. 1. Performing in November with the ASO will be the distinguished American pianist, Peter Serkin. Peter Serkin’s rich musical heritage extends back several generations: his grandfather was violinist and composer Adolf Busch and his father was pianist Rudolf Serkin. In 1958, at age eleven, he entered the Curtis Institute of Music in Philadelphia where he was a student of Lee Luvisi, Mieczyslaw Horszowski and Rudolf Serkin. In 1959, Mr. Serkin made his Marlboro Music Festival and New York City debuts with conductor Alexander Schneider and invitations to perform with the Cleveland Orchestra and George Szell in Cleveland and Carnegie Hall and with the Philadelphia Orchestra and Eugene Ormandy in Philadelphia and Carnegie Hall soon followed. He has since performed with the world’s major symphony orchestras with such eminent conductors as Seiji Ozawa, Pierre Boulez, Daniel Barenboim, Claudio Abbado, Simon Rattle, James Levine, Herbert Blomstedt, and Christoph Eschenbach. Recent orchestral highlights include appearances with the Chicago Symphony, St. Louis Symphony, St. Paul Chamber Orchestra, and North Carolina Symphony. Mr. Serkin currently teaches at Bard College Conservatory of Music and the Longy School of Music. The concerts will feature Benjamin Britten’s Variations on a Theme of Frank Bridge, Frank Bridge’s The Sea, and Johannes Brahms’ Piano Concerto No. 2. The concerts will feature the Annapolis Symphony Orchestra performing Wolfgang Amadeus Mozart’s Symphony No. 36 (Linz), and Anton Bruckner’s Symphony No. 7. Written in just four days in late 1783, Mozart composed his Symphony No. 36 on a stop-over to Vienna via Linz, Austria. He arrived in Linz on October 30 and on Tuesday, the 4th of November he gave a concert in the theater there. In Mozart’s words, “Since I do not have a single symphony with me, I am writing a new one at break-neck speed…” In spite of the quick writing, no trace of haste is reflected in the elegant and celebratory score. Whereas Mozart composed his symphony in haste, Bruckner’s Symphony No. 7 was written over the period of two years between 1881 and 1883. The symphony was premiered on December 30, 1884 and dedicated to Ludwig II of Bavaria. After eight previous critically disappointing symphonies, his symphony No. 7 was an immediate success. Bruckner’s symphonies are often hard to classify. Despite his general conservatism, his innovative symphonic structures give his works the stoic quality for which he is best known. The ASO will be joined by violinist Soovin Kim for its April concerts. At age 20, Soovin Kim won first prize in the Paganini International Competition. Subsequent awards included the Henryk Szeryng Career Award, an Avery Fisher Career Grant, and a Borletti-Buitoni Trust Award. Equally gifted in concerto, recital, and chamber music repertoire, Kim has performed with the Philadelphia Orchestra, San Francisco Symphony, Indianapolis Symphony, Baltimore Symphony, Orchestra of St. Luke’s, Stuttgart Radio Symphony, Salzburg Mozarteum Orchestra, Accademia di Santa Cecilia Orchestra, Moscow Symphony Orchestra, and Seoul Philharmonic. He has given solo recitals at New York’s Weill Hall, the Kennedy Center Terrace Theater, Ravinia, Tokyo’s Casals Hall, and the Seoul Arts Center. He is an active participant in the Marlboro Festival. Soovin Kim began studies at the Cleveland Institute of Music with David Cerone and Donald Weilerstein at age 15. He is a graduate of the Curtis Institute, where he studied with Victor Danchenko and Jaime Laredo. Besides teaching at the Peabody Conservatory, Kim’s faculty appointments also include SUNY-Stonybrook and Bard College in New York. The concerts will feature Béla Bartók’s Violin Concerto No. 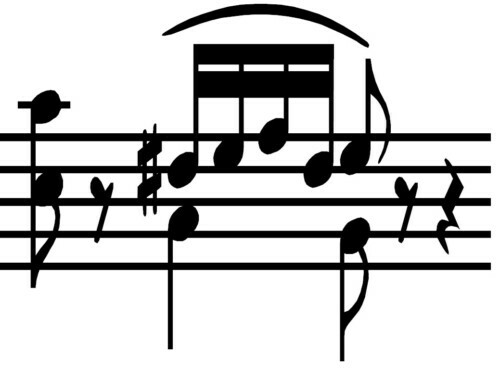 2, and Antonín Dvořák’s Symphony No. 6. Guest pianist Jon Nakamatsu will perform with the ASO for its May concerts. Since his dramatic 1997 Van Cliburn Gold Medal triumph, Jon Nakamatsu’s brilliant but unassuming musicianship and eclectic repertoire have made him a clear favorite throughout the world both on the concert circuit and in the recording studio. He has performed widely in North America, Europe, and the Far East and has collaborated with such conductors as James Conlon, Philippe Entremont, Marek Janowski, Raymond Leppard, Stanislaw Skrowaczewski, Michael Tilson Thomas and Osmo Vänskä. His extensive recital tours throughout the United States and Europe have featured appearances at Carnegie Hall and Lincoln Center in New York City, at the Kennedy Center in Washington, D.C., and in cities such as Boston, Chicago, Cincinnati, Paris, London, and Milan. Mr. Nakamatsu records exclusively for harmonia mundi usa, which has released nine CDs to date. His recent all-Gershwin recording with Jeff Tyzik and the Rochester Philharmonic featuring Rhapsody in Blue and the Concerto in F rose to number three on Billboard’s classical music charts, earning extraordinary critical acclaim. The evenings’ repertoire will include Sergei Rachmaninov’s Piano Concerto No. 3, Jesús Guridi’s Diez Melodías Vascas (Ten Basque Melodies), and Maurice Ravel’s La Valse. Other much loved concerts are the ASO Holiday Pops concert to be performed on December 20, 2013 and the ASO’s Family Concert on February 8, 2014. The Holiday Pops concert, Christmas in Annapolis sponsored by PNC Wealth Management, on Friday December 20, 2013, will feature the nationally acclaimed vocal ensemble, Five By Design performing holiday favorites with the ASO. Five By Design’s signature harmonies have withstood the test of time in a career that stands out on America’s musical landscape, spanning more than twenty years. Their productions showcase the group’s penchant for storytelling and the comedic. Whether backed by symphony orchestra or studio big band, Five By Design embraces the unforgettable melodies, lush harmonies, and swinging rhythms that evoke the names of Miller, Mancini and Mercer. The Minnesota-based Five By Design includes Lorie Carpenter-Niska, Catherine Scott, Kurt Niska, Michael Swedberg, and Terrence Niska. Four of the five have been singing together since 1986. Recent national media exposure included a seven city Christmas tour with the Boston Pops in 2012. On Saturday, February 8, 2014, the ASO’s Family Concert The Lost Elephant with Dan Kamin and the ASO will be presented. Elmer the Elephant has escaped from the zoo, but the zookeeper is determined to track him down! Dan Kamin creates a jungle full of animals out of a few simple props and actions choreographed precisely to the music. This program is guaranteed to captivate even the youngest children, introducing them to classics like Flight of the Bumblebee and William Tell Overture, along with great short pieces by Stravinsky, Shostakovich, Handel and others. Originally commissioned by the Baltimore Symphony, The Lost Elephant has become one of Dan’s most popular programs. The Performances are at 2:00 and 3:30 pm at Maryland Hall for the Creative Arts. Family concerts are designed for the entire family to enjoy the thrill of live professionally performed symphonic music paired with theatrical presentations to bring the music to life. Families are encouraged to attend “Meet the Musicians” sessions at 1:15 or 4:30 pm and learn about the different instruments. Recommended for ages 4 and up. The ASO continues to offer its free Pre-Concert Lectures by lecturer Dr. Rachel Franklin at 6:45 pm prior to all Lexus Classic Series concerts. Each lecture features a unique inside look at the repertoire to be performed at that evening’s concert. In addition, children and families may “Meet the Musicians” at 1:15 and 4:30 pm on the day of Family Concerts. The ASO’s education and outreach programs—including the ASO Music Van, Adopt-A-School program, Educational Concerts, Music Heals and more—also continue throughout the season. The ASO will also conduct special performances and guest speaking engagements with local organization, schools and area retirement communities. José-Luis Novo continues to instill a new artistic vision and leaves his personal imprint with the ASO and its growing audience. A continuous drive for artistic excellence, innovative thematic programming, and collaborations with some of today’s most respected guest artists, have resulted in unprecedented artistic growth, enthusiastic reviews and a general sense of excitement. Some of the ASO’s highlights during Maestro Novo’s tenure include a 2006 debut concert appearance at Strathmore Hall, a performance by world-renowned mezzo-soprano Denyce Graves at the Clarice Smith Performing Arts Center, a 2008 ASCAP Adventurous Programming Award, and the launching of the ASO’s first professionally produced CD commemorating the 300th anniversary of the signing of Annapolis’ Royal Charter. The successful partnership between Mr. Novo and the ASO has received consistent critical acclaim. Subscriptions for the 2013-2014 season are now on sale. New subscribers receive 50% off Lexus Classic Series in section B & C. Single tickets will go on sale August 21, 2013. For tickets, subscriptions, or further information, call the ASO Box Office at 410-263-0907 or visit www.annapolissymphony.org.